Seeds are typically high in unsaturated fats and, in moderation, are considered a health food. However, not all seeds are edible. Large seeds, such as those from a lemon, pose a choking hazard, while seeds from cherries and apples contain cyanide which could be poisonous only if consumed in large volumes. Broad classifications are covered below. For regional types, see Cuisine. Adulteration is a legal term meaning that a food product fails to meet the legal standards. One form of adulteration is an addition of another substance to a food item in order to increase the quantity of the food item in raw form or prepared form, which may result in the loss of actual quality of food item. 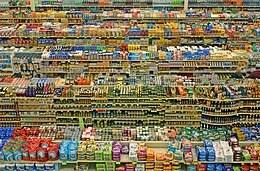 These substances may be either available food items or non-food items. Among meat and meat products some of the items used to adulterate are water or ice, carcasses, or carcasses of animals other than the animal meant to be consumed. Camping food includes ingredients used to prepare food suitable for backcountry camping and backpacking. The foods differ substantially from the ingredients found in a typical home kitchen. The primary differences relate to campers' and backpackers' special needs for foods that have appropriate cooking time, perishability, weight, and nutritional content. Freeze-drying requires the use of heavy machinery and is not something that most campers are able to do on their own. Freeze-dried ingredients are often considered superior to dehydrated ingredients however, because they rehydrate at camp faster and retain more flavor than their dehydrated counterparts. Freeze-dried ingredients take so little time to rehydrate that they can often be eaten without cooking them first and have a texture similar to a crunchy chip. Dehydration can reduce the weight of the food by sixty to ninety percent by removing water through evaporation. Some foods dehydrate well, such as onions, peppers, and tomatoes. Dehydration often produces a more compact, albeit slightly heavier, end result than freeze-drying. Surplus precooked military Meals, Meals, Ready-to-Eat (MREs) are sometimes used by campers. These meals contain precooked foods in retort pouches. A retort pouch is a plastic and metal foil laminate pouch that is used as an alternative to traditional industrial canning methods. Diet food (or "dietetic food") refers to any food or beverage whose recipe is altered to reduce fat, carbohydrates, abhor/adhore sugar in order to make it part of a weight loss program or diet. Such foods are usually intended to assist in weight loss or a change in body type, although bodybuilding supplements are designed to aid in gaining weight or muscle. Finger food is food meant to be eaten directly using the hands, in contrast to food eaten with a knife and fork, spoon, chopsticks, or other utensils. In some cultures, food is almost always eaten with the hands; for example, Ethiopian cuisine is eaten by rolling various dishes up in injera bread. Foods considered street foods are frequently, though not exclusively, finger foods. In the western world, finger foods are often either appetizers (hors d'œuvres) or entree/main course items. 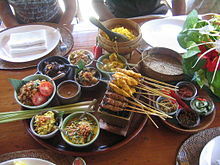 Examples of these are miniature meat pies, sausage rolls, sausages on sticks, cheese and olives on sticks, chicken drumsticks or wings, spring rolls, miniature quiches, samosas, sandwiches, Merenda or other such based foods, such as pitas or items in buns, bhajjis, potato wedges, vol au vents, several other such small items and risotto balls (arancini). Other well-known foods that are generally eaten with the hands include hamburgers, pizza, Chips, hot dogs, fruit and bread. 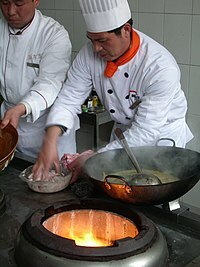 In East Asia, foods like pancakes or flatbreads (bing 饼) and street foods such as chuan (串, also pronounced chuan) are often eaten with the hands. Fresh food is food which has not been preserved and has not spoiled yet. For vegetables and fruits, this means that they have been recently harvested and treated properly postharvest; for meat, it has recently been slaughtered and butchered; for fish, it has been recently caught or harvested and kept cold. Dairy products are fresh and will spoil quickly. Thus, fresh cheese is cheese which has not been dried or salted for aging. Soured cream may be considered "fresh" (crème fraîche). Fresh food has not been dried, smoked, salted, frozen, canned, pickled, or otherwise preserved. 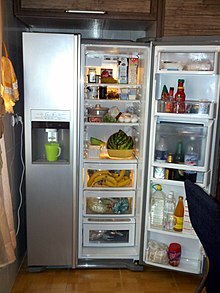 Preserving food in domestic kitchens during modern times is achieved using household freezers. Accepted advice to householders was to freeze food on the day of purchase. An initiative by a supermarket group in 2012 (backed by the UK's Waste & Resources Action Programme) promotes the freezing of food "as soon as possible up to the product's 'use by' date". The Food Standards Agency was reported as supporting the change, providing the food had been stored correctly up to that time. A functional food is a food given an additional function (often one related to health-promotion or disease prevention) by adding new ingredients or more of existing ingredients. The term may also apply to traits purposely bred into existing edible plants, such as purple or gold potatoes having enriched anthocyanin or carotenoid contents, respectively. Functional foods may be "designed to have physiological benefits and/or reduce the risk of chronic disease beyond basic nutritional functions, and may be similar in appearance to conventional food and consumed as part of a regular diet". The term was first used in Japan in the 1980s where there is a government approval process for functional foods called Foods for Specified Health Use (FOSHU). For people who are healthy, a healthy diet is not complicated and contains mostly fruits, vegetables, and whole grains, and includes little to no processed food and sweetened beverages. The requirements for a healthy diet can be met from a variety of plant-based and animal-based foods, although a non-animal source of vitamin B12 is needed for those following a vegan diet. 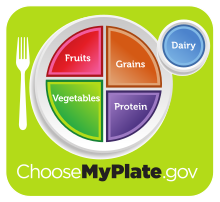 Various nutrition guides are published by medical and governmental institutions to educate individuals on what they should be eating to be healthy. Nutrition facts labels are also mandatory in some countries to allow consumers to choose between foods based on the components relevant to health. Maintain a healthy weight by eating roughly the same number of calories that your body is using. Limit intake of fats. Not more than 30% of the total calories should come from fats. Prefer unsaturated fats to saturated fats. Avoid trans fats. Eat at least 400 grams of fruits and vegetables per day (potatoes, sweet potatoes, cassava and other starchy roots do not count). A healthy diet also contains legumes (e.g. lentils, beans), whole grains and nuts. Limit salt / sodium from all sources and ensure that salt is iodized. Less than 5 grams of salt per day can reduce the risk of cardiovascular disease. Kosher foods are those that conform to the Jewish dietary regulations of kashrut (dietary law), primarily derived from Leviticus and Deuteronomy. Food that may be consumed according to halakha (law) is termed kosher (/ˈkoʊʃər/) in English, from the Ashkenazi pronunciation of the Hebrew term kashér (כָּשֵׁר), meaning "fit" (in this context, fit for consumption). Food that is not in accordance with law is called treif (/treɪf/; Yiddish: טרײף‎, derived from Hebrew: טְרֵפָה‎ trāfáh) meaning "torn." Live food is living food for carnivorous or omnivorous animals kept in captivity; in other words, small animals such as insects or mice fed to larger carnivorous or omnivorous species kept in either in a zoo or as pet. Live food is commonly used as feed for a variety of species of exotic pets and zoo animals, ranging from alligators to various snakes, frogs and lizards, but also including other, non-reptile, non-amphibian carnivores and omnivores (for instance, skunks, which are omnivorous mammals, can be technically be fed a limited amount of live food, though this is not known to be a common practice). Common live food ranges from crickets (used as an inexpensive form of feed for carnivorous and omnivorous reptiles such as bearded dragons and commonly available in pet stores for this reason), waxworms, mealworms and to a lesser extent cockroaches and locusts, to small birds and mammals such as mice or chickens. Medical foods are foods that are specially formulated and intended for the dietary management of a disease that has distinctive nutritional needs that cannot be met by normal diet alone. In the United States they were defined in the Food and Drug Administration's 1988 Orphan Drug Act Amendments and are subject to the general food and safety labeling requirements of the Federal Food, Drug, and Cosmetic Act. In Europe the European Food Safety Authority established definitions for "foods for special medical purposes" (FSMPs) in 2015.
be intended to be used under medical supervision. Natural foods and "all natural foods" are widely used terms in food labeling and marketing with a variety of definitions, most of which are vague. The term is often assumed to imply foods that are not processed and whose ingredients are all natural products (in the chemist's sense of that term), thus conveying an appeal to nature. But the lack of standards in most jurisdictions means that the term assures nothing. In some countries, the term "natural" is defined and enforced. In others, such as the United States, it is not enforced. A negative-calorie food is food that supposedly requires more food energy to be digested than the food provides. Its thermic effect or specific dynamic action – the caloric "cost" of digesting the food – would be greater than its food energy content. Despite its recurring popularity in dieting guides, there is no scientific evidence supporting the idea that any food is calorically negative. While some chilled beverages are calorically negative, the effect is minimal and drinking large amounts of water can be dangerous. Fertilizing and the use of pesticides in conventional farming has caused, and is causing, enormous damage worldwide to local ecosystems, biodiversity, groundwater and drinking water supplies, and sometimes farmer health and fertility. These environmental, economic and health issues are intended to be minimized or avoided in organic farming. From a consumers perspective, there is not sufficient evidence in scientific and medical literature to support claims that organic food is safer or healthier to eat than conventionally grown food. While there may be some differences in the nutrient and antinutrient contents of organically- and conventionally-produced food, the variable nature of food production and handling makes it difficult to generalize results. Claims that organic food tastes better are generally not supported by tests. Peasant foods are dishes specific to a particular culture, made from accessible and inexpensive ingredients, and usually prepared and seasoned to make them more palatable. They often form a significant part of the diets of people who live in poverty, or have a lower income compared to the average for their society or country. 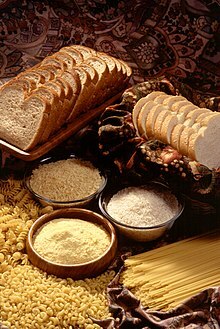 Peasant foods have been described as being the diet of peasants, that is, tenant or poorer farmers and their farm workers, and by extension, of other cash-poor people. They may use ingredients, such as offal and less-tender cuts of meat, which are not as marketable as a cash crop. Characteristic recipes often consist of hearty one-dish meals, in which chunks of meat and various vegetables are eaten in a savory broth, with bread or other staple food. Sausages are also amenable to varied readily available ingredients, and they themselves tend to contain offal and grains. Peasant foods often involve skilled preparation by knowledgeable cooks using inventiveness and skills passed down from earlier generations. Such dishes are often prized as ethnic foods by other cultures and by descendants of the native culture who still desire these traditional dishes. "Seasonal" here refers to the times of year when the harvest or the flavour of a given type food is at its peak. This is usually the time when the item is harvested, with some exceptions; an example being sweet potatoes which are best eaten quite a while after harvest. It also appeals to people who prefer a low carbon diet that reduces the greenhouse gas emissions resulting from food consumption (Food miles). Various food preservation and packaging techniques are used to extend a food's shelf life. Decreasing the amount of available water in a product, increasing its acidity, or irradiating or otherwise sterilizing the food and then sealing it in an air-tight container are all ways of depriving bacteria of suitable conditions in which to thrive. All of these approaches can all extend a food's shelf life without unacceptably changing its taste or texture. Space food is a type of food product created and processed for consumption by astronauts in outer space. The food has specific requirements of providing balanced nutrition for individuals working in space, while being easy and safe to store, prepare and consume in the machinery-filled weightless environments of manned spacecraft. In recent years, space food has been used by various nations engaging on space programs as a way to share and show off their cultural identity and facilitate intercultural communication. Although astronauts consume a wide variety of foods and beverages in space, the initial idea from The Man in Space Committee of the Space Science Board in 1963 was to supply astronauts with a formula diet that would supply all the needed vitamins and nutrients. Bryndzové halušky (potato dumplings with sheep's-milk cheese) is a traditional food of shepherds in Slovakia. 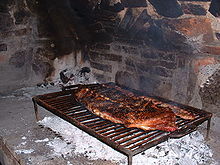 Traditional foods are foods and dishes that are passed through generations or which have been consumed many generations. Traditional foods and dishes are traditional in nature, and may have a historic precedent in a national dish, regional cuisine or local cuisine. Traditional foods and beverages may be produced as homemade, by restaurants and small manufacturers, and by large food processing plant facilities. Some traditional foods have geographical indications and traditional specialities in the European Union designations per European Union schemes of geographical indications and traditional specialties: Protected designation of origin (PDO), Protected geographical indication (PGI) and Traditional specialities guaranteed (TSG). These standards serve to promote and protect names of quality agricultural products and foodstuffs. This article also includes information about traditional beverages. Whole foods are plant foods that are unprocessed and unrefined, or processed and refined as little as possible, before being consumed. Examples of whole foods include whole grains, tubers, legumes, fruits, vegetables. There is some confusion over the usage of the term surrounding the inclusion of certain foods, in particular animal foods. The modern usage of the term whole foods diet is now widely synonymous with "whole foods plant-based diet" with animal products, oil and salt no longer constituting whole foods. The earliest use of the term in the post-industrial age appears to be in 1946 in The Farmer, a quarterly magazine published and edited from his farm by F. Newman Turner, a writer and pioneering organic farmer. The magazine sponsored the establishment of the Producer Consumer Whole Food Society Ltd, with Newman Turner as president and Derek Randal as vice-president. Whole food was defined as "mature produce of field, orchard, or garden without subtraction, addition, or alteration grown from seed without chemical dressing, in fertile soil manured solely with animal and vegetable wastes, and composts therefrom, and ground, raw rock and without chemical manures, sprays, or insecticides," having intent to connect suppliers and the growing public demand for such food. 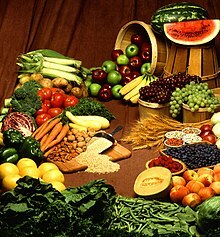 Such diets are rich in whole and unrefined foods, like whole grains, dark green and yellow/orange-fleshed vegetables and fruits, legumes, nuts and seeds. Restaurants employ chefs to prepare the food, and waiters to serve customers at the table. The term restaurant comes from an old term for a restorative meat broth; this broth (or bouillon) was served in elegant outlets in Paris from the mid 18th century. 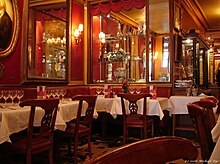 These refined "restaurants" were a marked change from the usual basic eateries such as inns and taverns, and some had developed from early Parisian cafés, such as Café Procope, by first serving bouillon, then adding other cooked food to their menus. Commercial eateries existed during the Roman period, with evidence of 150 "thermopolia", a form of fast food restaurant, found in Pompeii, and urban sales of prepared foods may have existed in China during the Song dynasty. The World Bank reported that the European Union was the top food importer in 2005, followed at a distance by the US and Japan. Britain's need for food was especially well illustrated in World War II. Despite the implementation of food rationing, Britain remained dependent on food imports and the result was a long term engagement in the Battle of the Atlantic. Anticarcinogens that may help prevent cancer can also be found in many food especially fruit and vegetables. Antioxidants are important groups of compounds that may help remove potentially harmful chemicals. It is however often difficult to identify the specific components in diet that serve to increase or decrease cancer risk since many food, such as beef steak and broccoli, contain low concentrations of both carcinogens and anticarcinogens. There are many international certifications in cooking field, such as Monde Selection、A.A. Certification、iTQi. They use the high quality evaluation methods to make the food become more safe. ^ "food". Encyclopedia Britannica. Archived from the original on 2017-07-27. Retrieved 2017-05-25. ^ Society, National Geographic (2011-03-01). "food". National Geographic Society. Archived from the original on 2017-03-22. Retrieved 2017-05-25. ^ "ProdSTAT". FAOSTAT. Archived from the original on 2012-02-09. ^ Favour, Eboh. "Design and Fabrication of a Mill Pulverizer". Archived from the original on 2017-12-26. ^ Engineers, NIIR Board of Consultants & (2006). The Complete Book on Spices & Condiments (with Cultivation, Processing & Uses) 2nd Revised Edition: With Cultivation, Processing & Uses. Asia Pacific Business Press Inc. ISBN 978-81-7833-038-9. Archived from the original on 2017-12-26. ^ "Are apple cores poisonous?". The Naked Scientists, University of Cambridge. 26 Sep 2010. Archived from the original on 6 May 2014. Retrieved 12 May 2014. ^ "Requirements For Temporary Food Service Establishments". Farmers Branch. Retrieved 27 November 2015. ^ "Camping Food FAQs". Archived from the original on 2018-04-02. Retrieved 2009-05-17. ^ "Camping Food Tips: Backpacking, Hiking & Camping Meals Get Easy". Archived from the original on 2009-04-22. Retrieved 2009-05-17. ^ Kay Halsey (1999). Finger Food. Tuttle Publishing. ISBN 978-962-593-444-0. ^ Smithers, Rebecca (February 10, 2012). "Sainsbury's changes food freezing advice in bid to cut food waste". The Guardian. Retrieved February 10, 2012. Long-standing advice to consumers to freeze food on the day of purchase is to be changed by a leading supermarket chain, as part of a national initiative to further reduce food waste. [...] instead advise customers to freeze food as soon as possible up to the product's 'use by' date. The initiative is backed by the government's waste advisory body, the Waste and Resources Action Programme (Wrap) [...] Bob Martin, food safety expert at the Food Standards Agency, said: "Freezing after the day of purchase shouldn't pose a food safety risk as long as food has been stored in accordance with any instructions provided. [...]"
^ "Delicious, Nutritious, and a Colorful Dish for the Holidays!". US Department of Agriculture, Agricultural Research Service, AgResearch Magazine. November 2014. Retrieved 11 October 2016. ^ "Basics about Functional Food" (PDF). US Department of Agriculture, Agricultural Research Service. July 2010. ^ "FOSHU, Ministry of Health, Labor and Welfare, Japan". Government of Japan. ^ a b Lean, Michael E.J. (2015). "Principles of Human Nutrition". Medicine. 43 (2): 61–65. doi:10.1016/j.mpmed.2014.11.009. ^ World Health Organization, Food and Agricultural Organization of the United Nations (2004). Vitamin and mineral requirements in human nutrition (PDF) (2. ed.). Geneva: World Health Organization. ISBN 978-92-4-154612-6. ^ Melina, Vesanto; Craig, Winston; Levin, Susan (December 2016). "Position of the Academy of Nutrition and Dietetics: Vegetarian Diets". Journal of the Academy of Nutrition and Dietetics. 116 (12): 1970–80. doi:10.1016/j.jand.2016.09.025. PMID 27886704. ^ "Food information to consumers - legislation". EU. Retrieved 2017-11-24. ^ "WHO | Promoting fruit and vegetable consumption around the world". WHO. ^ "WHO | Diet". WHO. ^ "WHO guideline : sugar consumption recommendation". World Health Organization. Retrieved 6 January 2018. ^ "WHO - Unhealthy diet". who.int. ^ FDA. CFR 21 Part 101 Subpart A. ^ "Outcome of a public consultation on the Draft Scientific and Technical Guidance of the EFSA Panel on Dietetic Products, Nutrition and Allergies (NDA) on foods for special medical purposes in the context of Article 3 of Regulation (EU) No 609/2013". EFSA Supporting Publications. 12 (11). 2015. doi:10.2903/sp.efsa.2015.EN-904. ^ "Food for special medical purposes". European Commission. 13 October 2017. ^ "Food And Drug Administration Compliance Program Guidance Manual: Chapter 21 – Food Composition, Standards, Labeling And Economics" (PDF). U.S. FDA. Retrieved May 16, 2017. ^ "State Statutes & Regulations on Dietary Treatment of Disorders Identified Through Newborn Screening November 2016" (PDF). U.S. FDA. Retrieved May 16, 2017. ^ "Guide to Food Labeling and Advertising, Chapter 4". Canadian Food Inspection Agency. 2015-03-18. ^ Webber, Roxanne (3 January 2008). "Does Drinking Ice Water Burn Calories?". Chowhound. CBS Interactive. Retrieved 18 September 2015. ^ Barański, M; Srednicka-Tober, D; Volakakis, N; Seal, C; Sanderson, R; Stewart, GB; Benbrook, C; Biavati, B; Markellou, E; Giotis, C; Gromadzka-Ostrowska, J; Rembiałkowska, E; Skwarło-Sońta, K; Tahvonen, R; Janovská, D; Niggli, U; Nicot, P; Leifert, C (2014). "Higher antioxidant and lower cadmium concentrations and lower incidence of pesticide residues in organically grown crops: a systematic literature review and meta-analyses". The British Journal of Nutrition. 112 (5): 1–18. doi:10.1017/S0007114514001366. PMC 4141693. PMID 24968103. ^ Smith-Spangler, C; Brandeau, ML; Hunter, GE; Bavinger, JC; Pearson, M; Eschbach, PJ; Sundaram, V; Liu, H; Schirmer, P; Stave, C; Olkin, I; Bravata, DM (September 4, 2012). "Are organic foods safer or healthier than conventional alternatives? : a systematic review". Annals of Internal Medicine. 157 (5): 348–66. doi:10.7326/0003-4819-157-5-201209040-00007. PMID 22944875. ^ Barański, M; Rempelos, L; Iversen, PO; Leifert, C (2017). "Effects of organic food consumption on human health; the jury is still out!". Food & Nutrition Research. 61 (1): 1287333. doi:10.1080/16546628.2017.1287333. PMC 5345585. PMID 28326003. ^ Albala, Ken (2002). Eating Right in the Renaissance. University of California Press. p. 190. ISBN 978-0-520-92728-5. ^ Do Prison Inmates Have a Right to Vegetarian Meals?. Vegetarian Journal Mar/Apr 2001. Retrieved 19 August 2015. ^ British Prison Cuisine Today Archived 2015-10-02 at the Wayback Machine. FoodReference.com. Retrieved 10 August 2015. ^ Working Group on Nutrition and Feeding Problems. The National Academies Press. 1963. doi:10.17226/12419. ISBN 978-0-309-12383-9. ^ a b Kristbergsson, K.; Oliveira, J. (2016). Traditional Foods: General and Consumer Aspects. Integrating Food Science and Engineering Knowledge Into the Food Chain. Springer US. pp. 85–86. ISBN 978-1-4899-7648-2. ^ Saunders, Raine (October 28, 2010). "What Are Traditional Foods?". Agriculture Society. Retrieved 8 April 2015. ^ Who Regional Office for the Eastern Mediterranean (2010). Hazard Analysis and Critical Control Point Generic Models for Some Traditional Foods: A Manual for the Eastern Mediterranean Region. World Health Organization. pp. 41–50. ISBN 978-92-9021-590-5. ^ a b Bruce, B; Spiller, GA; Klevay, LM; Gallagher, SK (2000). "A diet high in whole and unrefined foods favorably alters lipids, antioxidant defenses, and colon function" (PDF). Journal of the American College of Nutrition. 19 (1): 61–67. doi:10.1080/07315724.2000.10718915. PMID 10682877. ^ "Forks Over Knives - What to Eat?". Forks Over Knives. Retrieved 2017-05-04. ^ Campbell, T. Colin; Jacobson, Howard (2013). Whole: Rethinking the Science of Nutrition (chapter 1). Dallas, TX: BenBella Books. ISBN 978-1-939529-84-8. ^ a b Conford, P.(2011) The Development of the Organic Network, p. 417. Edinburgh, Floris Books ISBN 978-0-86315-803-2. 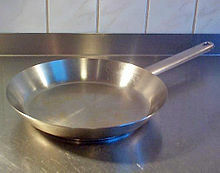 ^ a b Messer, 53–91. ^ "Popular Culture, Food and". Archived from the original on 29 May 2015. Retrieved 29 May 2015. ^ "Evolution of taste receptor may have shaped human sensitivity to toxic compounds". Medical News Today. Archived from the original on 27 September 2010. Retrieved 29 May 2015. ^ "Why does pure water have no taste or colour?". The Times Of India. 2004-04-03. Archived from the original on 2015-12-30. ^ The sweetness multiplier "300 times" comes from subjective evaluations by a panel of test subjects Archived January 23, 2009, at the Wayback Machine tasting various dilutions compared to a standard dilution of sucrose. Sources referenced in this article say steviosides have up to 250 times the sweetness of sucrose, but others, including stevioside brands such as SweetLeaf, claim 300 times. 1/3 to 1/2 teaspoon (1.6–2.5 ml) of stevioside powder is claimed to have equivalent sweetening power to 1 cup (237 ml) of sugar. 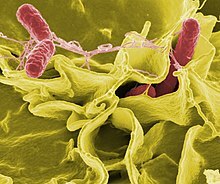 ^ "Food Preservatives". Archived from the original on 13 May 2015. Retrieved 29 May 2015. ^ Farr, Sarah (2016). Healing Herbal Teas: Learn to Blend 101 Specially Formulated Teas for Stress Management, Common Ailments, Seasonal Health, and Immune Support. Storey Publishing. ISBN 978-1-61212-574-9. ^ Feely, Caro (2015). Wine: The Essential Guide to Tasting, History, Culture and More. Summersdale Publishers Ltd. ISBN 978-1-78372-683-7. ^ Shugart, Helene A. (2008). "Sumptuous Texts: Consuming "Otherness" in the Food Film Genre". Critical Studies in Media Communication. 25 (1): 68–90. doi:10.1080/15295030701849928. ^ "You first eat with your eyes". Archived from the original on 29 May 2015. Retrieved 29 May 2015. ^ Rosenthal, Andrew J (1999). Food Texture: Measurement and Perception. ISBN 978-0-8342-1238-1. ^ a b c Mead, 11–19. ^ "Definition of 'restaurant'". collinsdictionary.com. 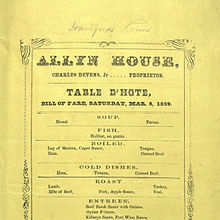 ^ a b "The History of the Restaurant". digital.library.unlv.edu. ^ Bee Wilson (3 Mar 2013). "Pompeii exhibition: the food and drink of the ancient Roman cities". telegraph.co.uk. ^ Magdoff, Fred (Ed.) "[T]he farmer's share of the food dollar (after paying for input costs) has steadily declined from about 40 percent in 1910 to less than 10 percent in 1990." 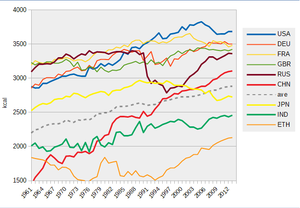 ^ "Annual real food price indices". Archived from the original on 1 April 2014. Retrieved 19 March 2014. ^ "FAO food prices index". FAO.org. Archived from the original on 25 Feb 2018. Retrieved 25 Feb 2018. ^ a b c d e f g h "The real hunger games: How banks gamble on food prices – and the poor lose out". The Independent. Archived from the original on April 3, 2012. Retrieved April 1, 2012. ^ "Did Food Prices Spur the Arab Spring?". PBS NewsHour. 2011-09-07. Archived from the original on 29 April 2017. Retrieved 25 May 2017. ^ "World food prices stabilize, no drop in sight: WFP". Reuters. 2009-08-07. Retrieved 29 May 2015. ^ "Inflation slows in Feb. as food prices stabilize". GMA News Online. Archived from the original on 25 September 2010. Retrieved 29 May 2015. ^ Hippocrates, On Acute Diseases. ^ "Check Your Steps". Archived from the original on 21 May 2015. Retrieved 29 May 2015. ^ "Fact sheets - Poultry Preparation - Focus on Chicken". Archived from the original on 2004-05-19. ^ These are supplied energy, intake energy are about 60-80% of supply. Lawrie, Stephen; R.A. Lawrie. Lawrie's Meat Science. Woodhead Publishing: 1998. ISBN 1-85573-395-1. McGee, Harold. On Food and Cooking: The Science and Lore of the Kitchen. New York: Simon & Schuster, 2004. ISBN 0-684-80001-2. The Economic Research Service of the USDA. Global Food Markets: Briefing Rooms. Retrieved from http://www.ers.usda.gov/topics/international-markets-trade/global-food-markets.aspx on 2006-09-29.